Description: Ash Hollow SHP is a State Historical Park administered by the Nebraska Game and Parks Commission. 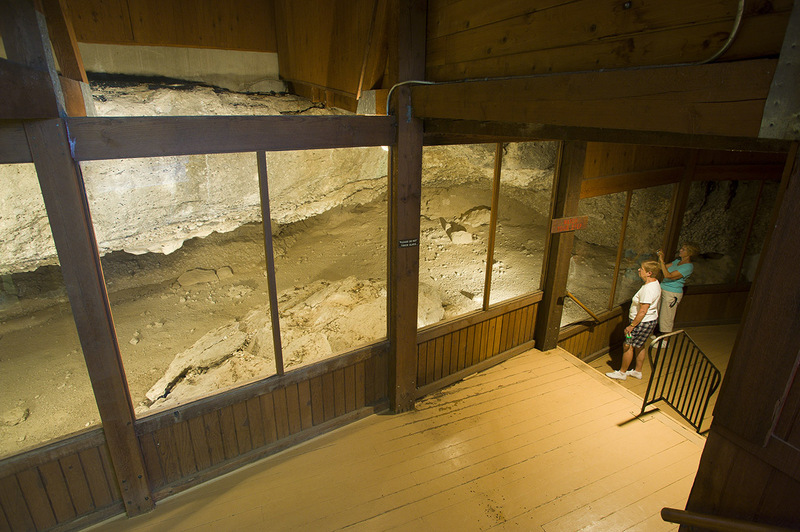 It was a major resting spot on the Oregon-California trail in the 1840’s and 1850’s and was mentioned in dozens of emigrant diaries. Ash Hollow was known along the trail where fresh cool spring water, firewood and lush grazing grasses for the livestock awaited the emigrants. 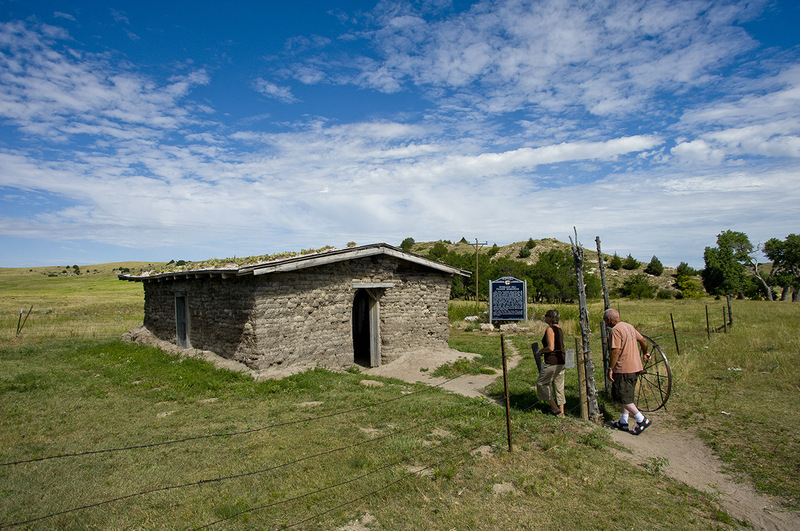 Don and Lynne Benker of Skull Valley, Ariz, visit a replica sod house at Ash Hollow State Historical Park in Garden County. Fowler, August 8, 2010. Copyright NEBRASKAland Magazine, Nebraska Game and Parks Commission. 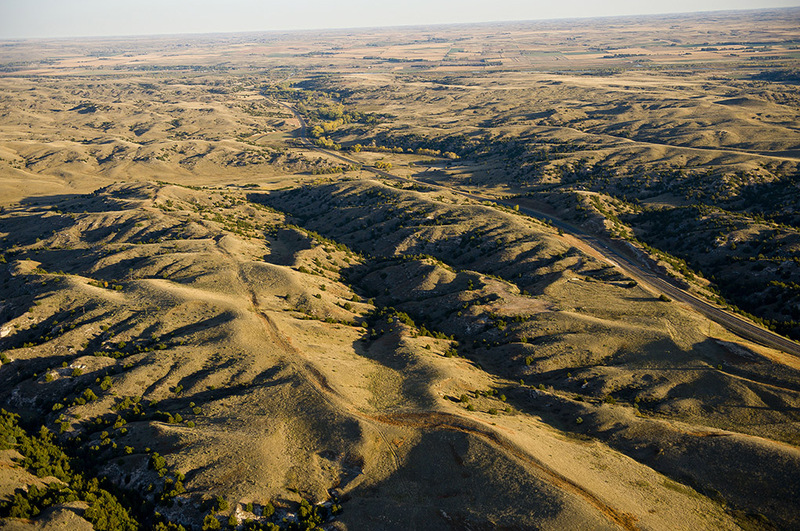 Aerials of Oregon Trail Wagon ruts and Highway 26 at Ash Hollow State Historical Park, Garden County. Fowler. Copyright NEBRASKAland Magazine/Nebraska Game and Parks Commission.